With chalk and other active ingredients from nature instead of SLS/SLES and other synthetic foam ingredients. Mild foam protects your sensitive oral mucous membrane from irritation, and essential oils turn brushing your teeth into a nice, natural taste experience. Ingredience: Chalk, water, vegetable glycerine*, vegetable polysaccharides*, myrrh, essential fennel oil*. International list of ingredients (INCI): Calcium carbonate, aqua, glycerin*, xanthan gum, foeniculum vulgare oil* (aroma*), commiphora myrrha oil, limonene".
" = from essential oil. 100 % of the total of the ingredients are of natural origin 22 % of the total of the ingredients proceed from Organic Farming. 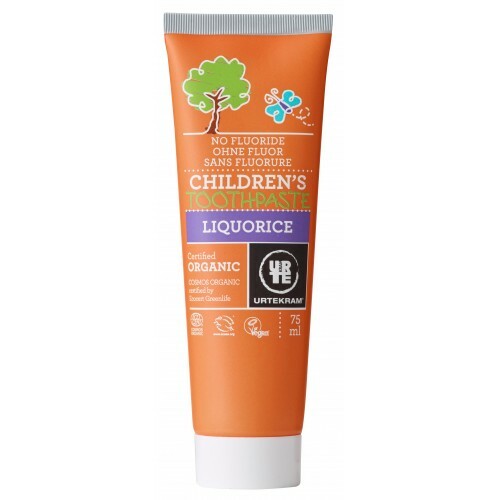 Green People Mint & Aloe Vera Toothpaste is free from harmful additives such as fluoride, SLS and parabens. A great alternative to regular fluoride toothpaste!A certified natural toothpaste w.. Contains soothing ratanhia, used for its astringent properties to naturally strengthen the gums and help keep the mouth in good condition. Peppermint and spearmint revive and refreshIngredientsINCI: W..